The Santa Cruz County District Attorney on Thursday cleared four officers who shot and killed Jeremy Goulet in February from any wrongdoing, saying they acted "reasonably, prudent and heroic." 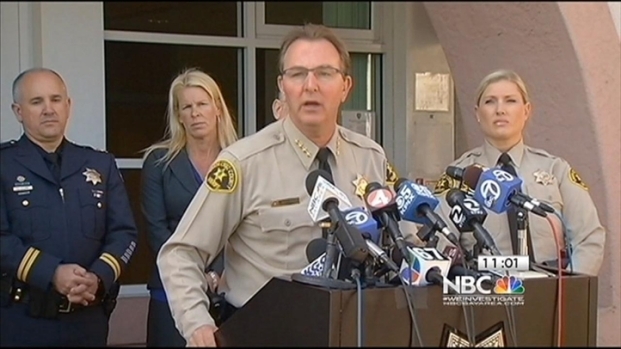 DA Bob Lee and Sheriff Phil Wowak released the expected conclusion at a news conference following the investigation into the deaths of Santa Cruz police detective Sgt. Loran "Butch" Baker and detective Elizabeth Butler, who were killed by Goulet on Feb. 26 while investigating Goulet for an alleged sexual assault. 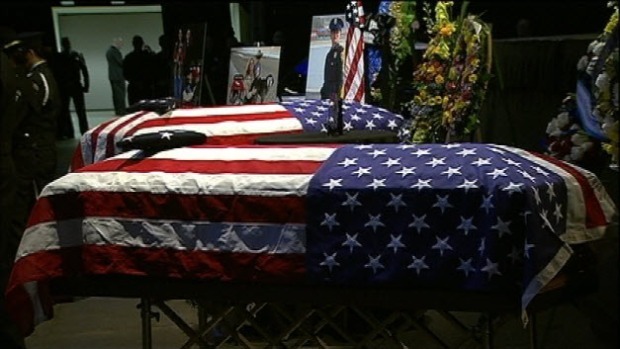 They were the first officers killed in the line of duty in city history. Police Chief Kevin Vogel said the officers who surrounded Jeremy Goulet risked their own safety to protect others. "(The officers) walked through the gates of hell. All their actions cannot be overstated. They truly saved more lives,'' Vogel told reporters during a news conference. New details were released today concerning a sad chapter of Santa Cruz history that ended in the deaths of two beloved police officers. Bob Redell reports. 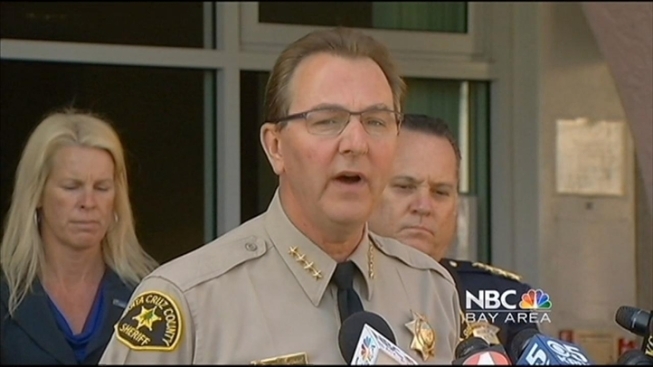 One new detail that emerged from the conference was that there was off-duty Santa Cruz County sheriff's Sgt. Stefan Fish was home with his children that day, but when he heard about the shootings, he dropped the youngsters off with his parents and went to the scene to help. He and three other Santa Cruz police officers -- Sgt. Jose Garcia, officer Barnaby Clark and Tim Shields -- eventually encountered Goulet in that alley behind Doyle Street. Sheriff Wowak said Goulet fired nine shots at the plainclothes detectives at his doorstep after they spoke to him through the door of his house and said he was being arrested. Goulet appeared from a second entrance of the house and fired five shots at the officers within seconds, Wowak said. Three of his bullets disabled the officers, who dropped their weapons, the sheriff added. Goulet then walked up to Baker and fired two more rounds into him, then fired two rounds into Butler. Goulet took the detectives' guns and fled in Baker's unmarked car, donning the sergeant's bulletproof vest. Authorities say what Goulet did for several minutes is unclear, but he returned to the scene because within minutes. A group of officers who had been administering aid to the fallen detectives spotted Goulet in an alley behind his house. The officers fired 54 shots at Goulet and he had returned fire 15 times, authorities said. Goulet had with him a plane ticket to New Mexico, where he had relatives. He planned to leave four days after the shooting, less than a week after he'd been fired from his job at a coffee shop. A co-worker had accused him of making inappropriate sexual advances at her home. The three hour service at the HP Pavilion for the two fallen Santa Cruz police officers had a few laughs and lots and lots of tears.